Get Ready Orlando, Arena Bowl XXVI is Coming to Town! Are you ready for some football? If so, you are in luck, even before the professional football season starts! 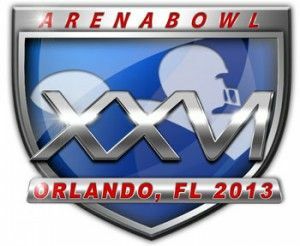 Orlando will be hosting the Arena Bowl XXVI this year at the Amway Center on August 17th at 1pm. It will air nationally on CBS. The Arena Bowl is the Arena Football League’s (AFL) equivalent to the NFL’s Super Bowl. The Arena Bowl was first held in Pittsburgh in 1987 and has taken place almost every year since except 2009 when the AFL filed for bankruptcy and was going through changes in management. Currently consisting of fourteen teams split into two conferences (American and National) and then into two divisions (North, Central, South, and West), the regular season, made up of twenty games, begins in the second week of March. Post-season begins in August with four teams from each conference, two division winners and two wild card teams, competing for a spot in the Arena Bowl.